A deep cycle battery is a special type of battery used widely in industries, hospitals, recreation facilities and residences. One of the major applications of deep cycle batteries is their use in residential Photovoltaic (PV) solar power systems. It is quite a distinctive type of battery compared to a ‘shallow cycle’ starter battery for a car. Deep cycle batteries are sturdy, provides steady, high-quality power for much longer duration than the normal automotive starter batteries. 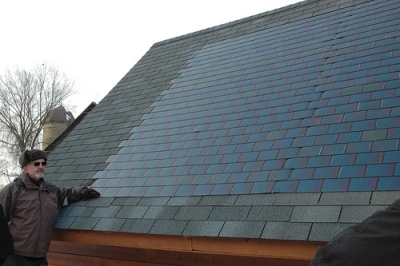 Many people having a PV solar power system at home are able to get power supply at nights or during cloudy days due to batteries or stand-by electric connection from the local power grid. Solar panels installed on the roof or erected on a pole or on the ground absorb heat and light from the sun and convert them into electric power. If someone wants to have a PV system that does not depend on the local power grid or if that person is situated in a place where there is no local power grid, then it is necessary to store in batteries the surplus solar energy generated during the days of bright sunshine. Although batteries may appear costly at the outset, the savings achieved by not linking up to the local utility grid will compensate for the heavy expenditure on batteries. Those having a solar power system at home and connected to the power grid should have an automatic cut-off mechanism from the grid a precautionary measure, whenever there is a power disruption. There may be a situation when a Photovoltaic power system generates electricity, but it does not pass through the power cables and instead it accidentally gets diverted into a line that the electrician considers as inactive. When the solar system is equipped with a set of batteries, the power generated is transmitted to these batteries or inverter to convert the direct current (DC) into alternate current (AC). A few solar panels are equipped with an in-built inverter that reduces the need for the wiring to a large extent and also eliminates the need for a large central inverter. Apart from inverter, it is necessary to have a ‘charge controller’ in the power system. This ensures that the batteries have a very long life-span, provided they are not damaged due to overcharging or get completely drained out. The function of a controller is that once the batteries are fully charged, it stops any further flow of current into them. When the batteries are discharged to some extent, the charge controllers will not permit any further drain out till the batteries are recharged. 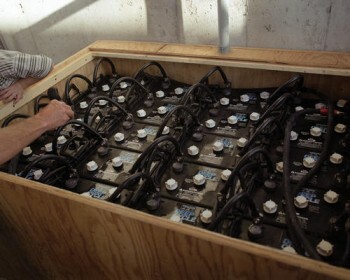 It is necessary to compute ‘amp-hour’ parameter in order to assess how many batteries are required. The storage capacity is generally expressed in terms of amp-hours. Assuming that the solar power system at the house has a 24-volt battery and normal 120 volt AC and the power load is 3 amps with a working cycle of 4 hours every day, then it works out to 12 amp-hours load. However, with a 120 volt system, there will be requirement of 5 batteries of 24 volts. If this figure is multiplied by 12 amp-hours, it works out 60 amp-hours. This computation indicates how much current would be discharged from the batteries. While estimating the storage capacity in terms of amp-hours, it is better to add another 20% for banking power for a long duration to cover possible cloudy situations. The normal car battery generates sudden surge of huge amount of electric current to crank the engine and start the car and after that it gets recharged while driving. On the other hand, deep cycle batteries, releases little amounts of electricity over a long duration such as at night and they are recharged in the day. Most of the deep cycle batteries are either lead-acid batteries or nickel- cadmium (Ni-Cad) batteries. Although Ni-cad batteries are more expensive, they are durable and can release more current without getting damaged. A deep cycle lead-acid battery gets damaged if it is discharged completely. On the other hand, solar power installations at home are so designed that that the deep cycle batteries in the system do not get discharged more than 40 to 50%. 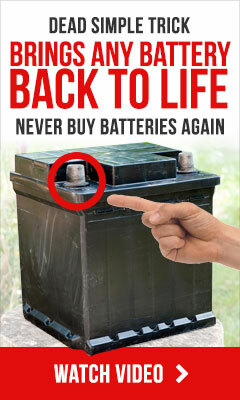 On top of this, sealed deep cycle batteries do not require either maintenance, watering or equalization charge. However, they are required to be recharged after every cycle. 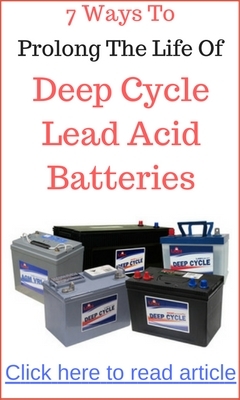 Sealed deep cycle batteries are costlier than unsealed lead-acid batteries. With accelerated developments in battery technology, by the time one changes batteries a few times, he will be in a position to purchase much superior, more secure and durable batteries. For instance, Ceramatec, a Utah- based company is producing a prototype of ‘deep-storage’ battery as big as a dormitory refrigerator that runs at room temperature, with power generation for the home costing around $0.025 per kilowatt hour. The University of Maryland is undertaking research on batteries based on nano-technology and researchers at Harvard University are trying to develop ‘bacteria-powered’ eco-friendly batteries. The development of new technologies for batteries is an area of intense research and though deep cycle batteries are costly at present. The chances of purchasing more efficient, long lasting and much cheaper batteries soon are bright with likely breakthrough in research efforts during the life-span of the existing PV array systems.